A nice, not-too-busy street run on Kauai’s north shore, Kapaka St. is best run starting at the Princeville Shopping Center (the same starting point as the Princeville Path). Head left on Kuhio Highway until it meets up with Kapaka Street. (Kuhio can be busy, but it has a decent shoulder and you will only travel on it for under a mile). Run up Kapaka for a good challenging uphill for about 1.5 miles. At the water tank, turn around and return for a total route of about 5 miles. This route is pretty narrow, but you will encounter little to no traffic as you enjoy the sprawling estates, lush farms bordering the Wildlife Sanctuary. 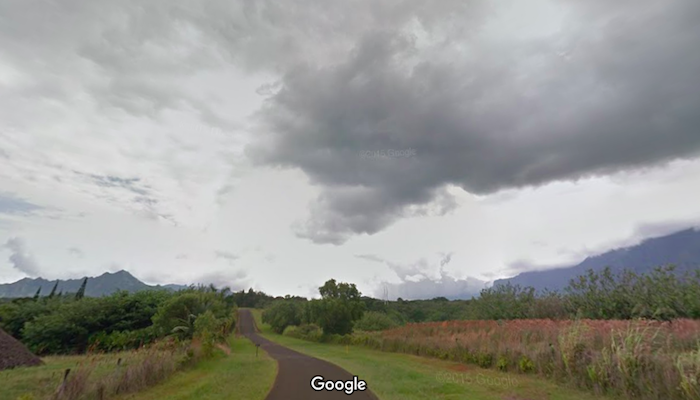 Add-On Options: At the end of Kapaka St., can continue for several miles on Powerline Rd., (dirt road, not maintained) for a more challenging trail run. Or, take Princeville Bike Path toward the coast for 2+ miles.